I could use everyone’s help here. I hope you all will tune in to MAKE’s new series about the people turning fantasy into reality. I’m calling it [b]Make:Believe[/b]. 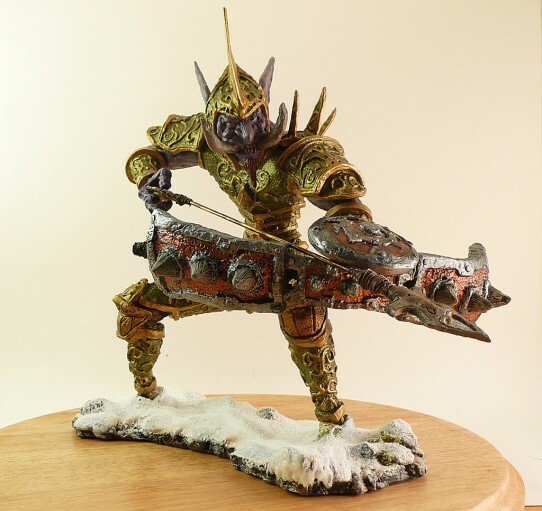 MAKE Magazine has supported and enabled me to take my sculpting hobby and turn it into a video series. I passionately believe these stories need to be told. 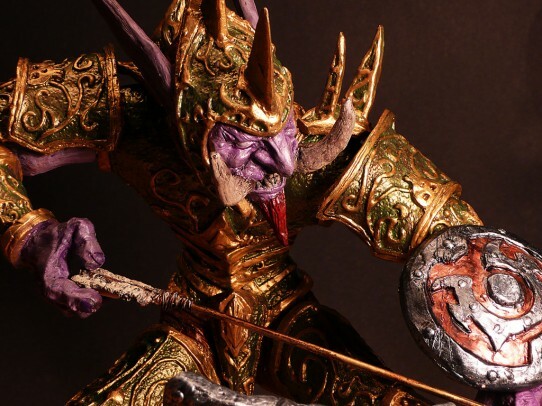 Scott Hensey has been sculpting some of you favorite action figures for the last 20+ years. This is our first video interview and story, and our Fon Davis interview is coming up next. All you people that fabricate real things for fantasy worlds, please feel free to contact me! Right now, I’m focusing on Northern California, since I’m located just north of San Francisco and it’s easier/cheaper to travel to. But early next year, I’m planning a trip to Burbank/L.A. for a week long visit to studios I’m beginning to line up. I hope you all can support this series simply by watching it, and even commenting on it in the YouTube comments. And spread the word to your communities if you really love it. 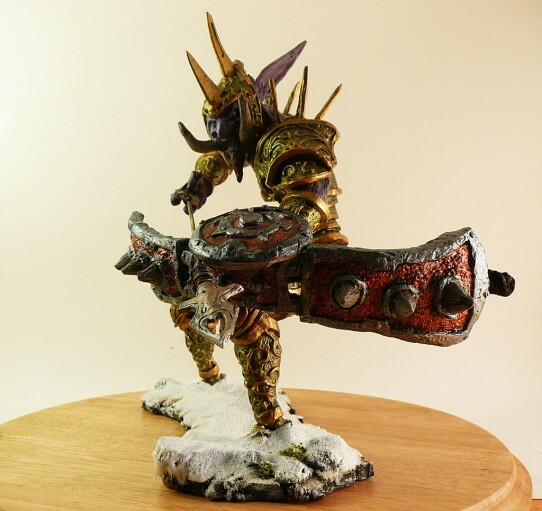 In case you haven’t seen it, here is an interview I did with Blizzard over my Azmodan sculpture. Thanks Blizzard! 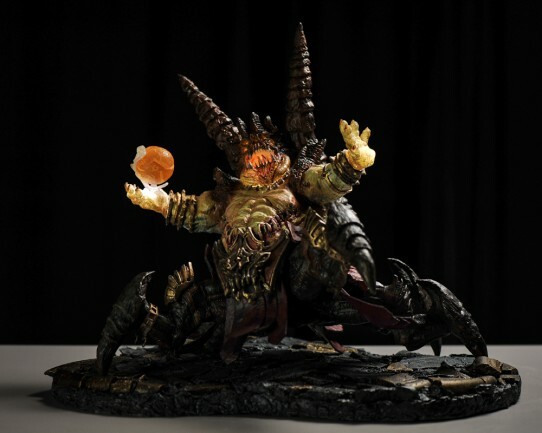 I just wrote a huge post about how I made my latest sculpture over at MAKE: http://blog.makezine.com/2012/08/03/my-diablo-iii-sculpture-azmodan/ Check it out! 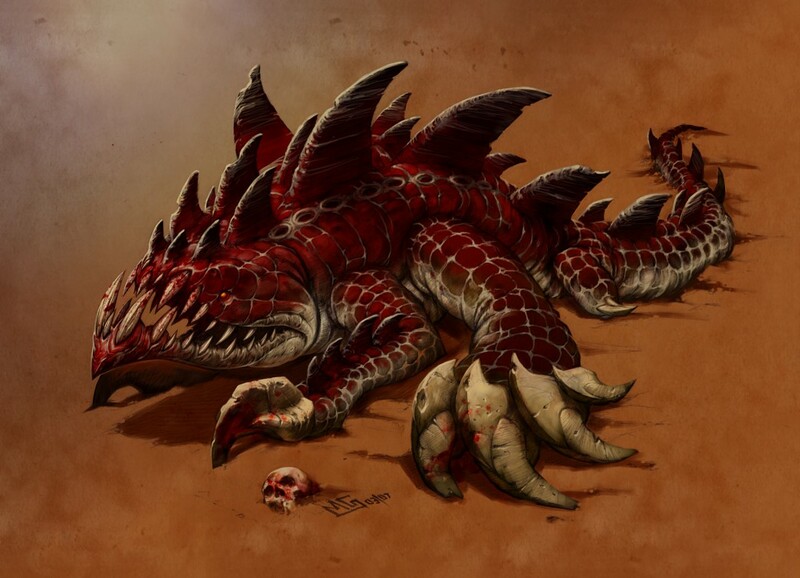 Here is another version, with more red dye. Lighting kits hopefully will be done by next week! After I posted about my Rift sculpture that was broken in transit, I had a lot of great feedback from the community (thanks everyone!). Some folks expressed interest in smaller versions, possibly a series of Rifts, so I thought “why not?” Plus, I would like to give one to my friend over at Rift who hired me for the big version. 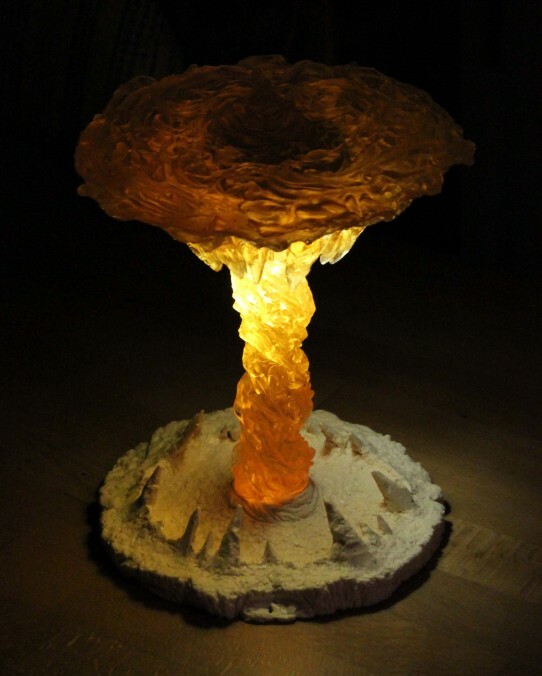 I got cracking on a smaller version, with the intention of making these around 7″ tall, and around 7″ wide, and still be able to light them up inside. 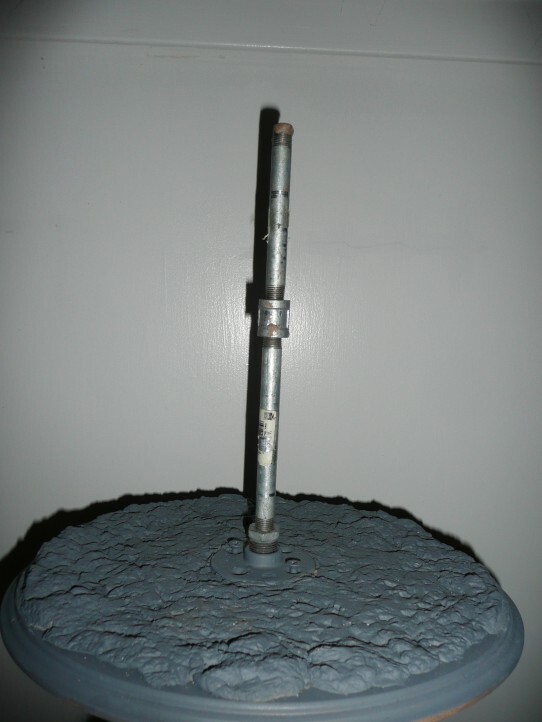 Here is the base: with the pipe that serves as the core of the pillar. 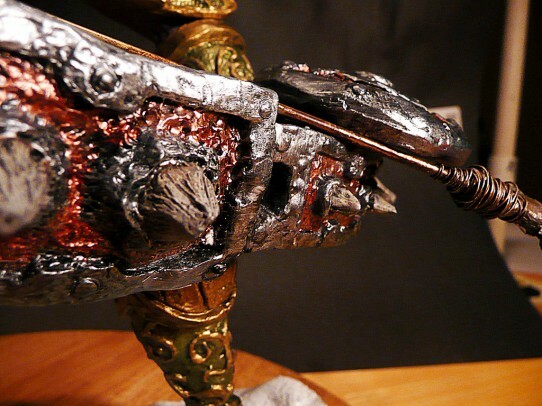 To the top of that pipe I glued a tuna can and sculpted around it all. The can and the pipe all ensure that I’m building a level piece. The interior of the can will also serve as the housing of the lighting kit. This will all be cast in clear resin. And here is the top: I’m thinking of adding magnets to keep the top secure, but if they show up in clear resin, I’ll leave them as pegs that fit into those two holes seen above. This top will also be cast in clear resin, just like the larger sculpt. And basically the three parts I need to mold. I’ll start on that this week. The top and pillar of flame don’t really look like flames, but that is actually on purpose. When you cast in clear resin, you lose a lot of detail, but you need deep recesses, valleys and hills for light to refract within. 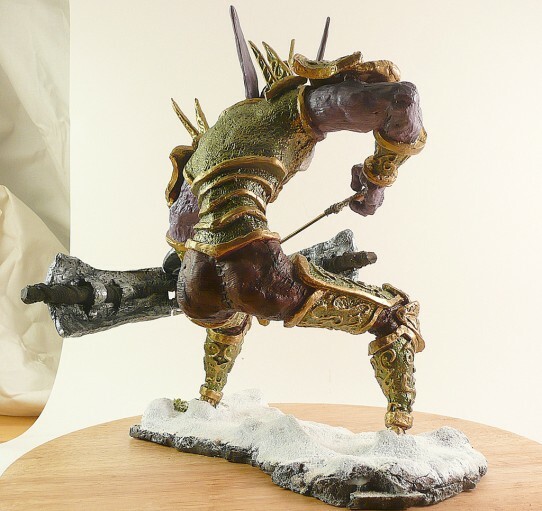 It’s how I approached the first first big sculpt and the results looked really good. I’m making molds this week, and should have some early cast pieces by the end of the week, or this weekend. I’ll have lighting kits sometime in the next few two weeks to really show this off. Please email me if you are interested in buying a copy. 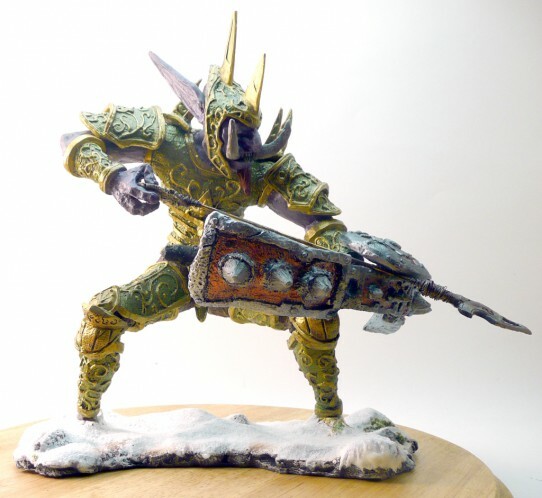 Back in November of 2010, an old colleague of mine emailed me, asking if I still sculpted. 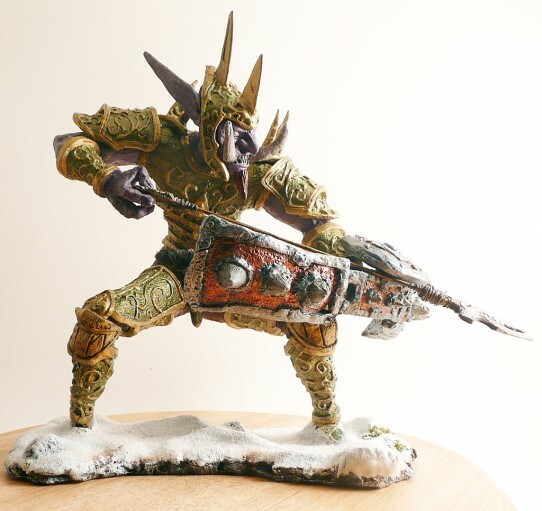 The company he works for, Trion Worlds, was looking to create a one-of-a-kind sculpture for a promotional giveaway. He asked if I was interested. He didn’t have to ask twice. I jumped at the chance, and thus began a two-month journey that was great, but ended up in disaster (more on that later). 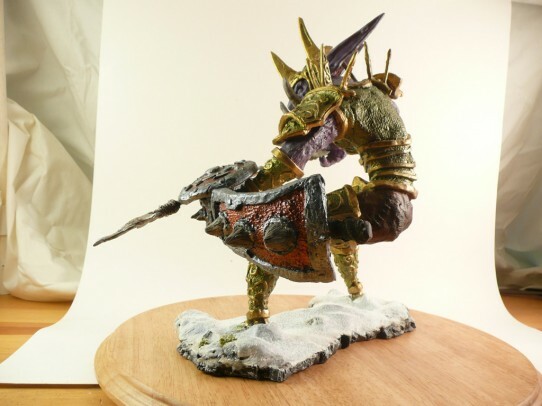 It was my first paying sculpting commission and I was stoked. 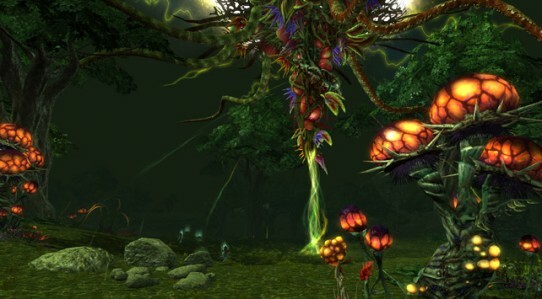 Trion Worlds is a game developer in Redwood City. 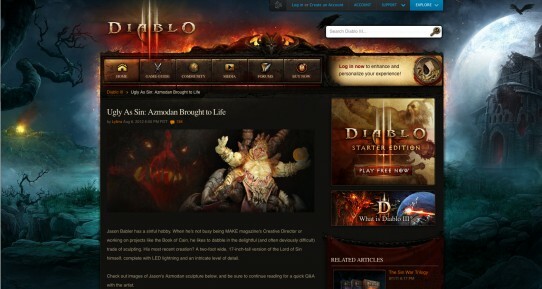 Their game “Rift” is a fairly new MMORPG that has been met with rave reviews from the industry. I highly encourage everyone to check it out. 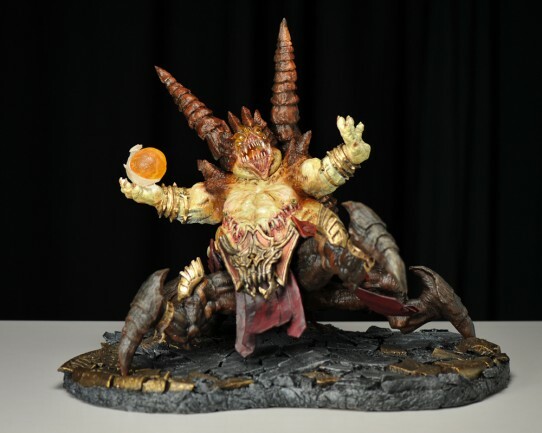 The “Rifts” are actual portals that open up in the game, spawning hordes of monsters to slay, and there are six of them, including “Fire“, which I ended up sculpting. 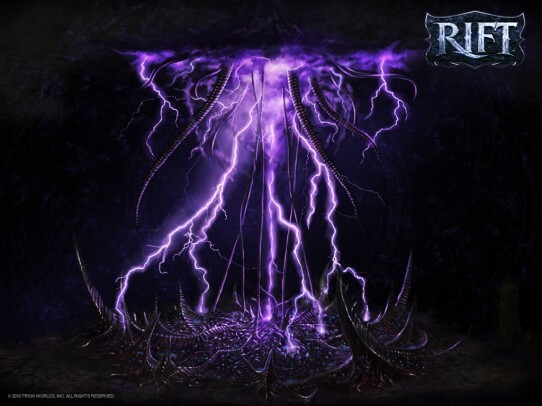 Here is the Fire Rift teaser and a short turnaround of the sculpt. The first problems I saw were 1) How to support the structure of the clouds with only those small “tendrils” and 2) Sculpting lightning seemed to be a bad idea. 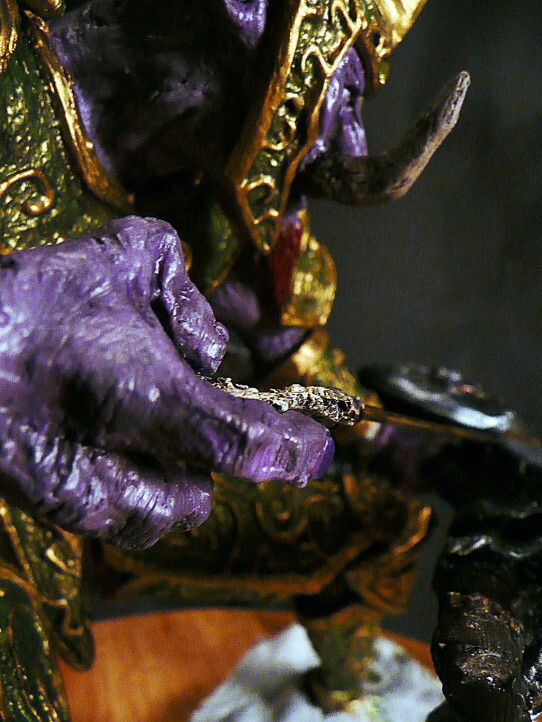 I was worried that they would break, even being cast in resin or Magic Sculp way too easily. 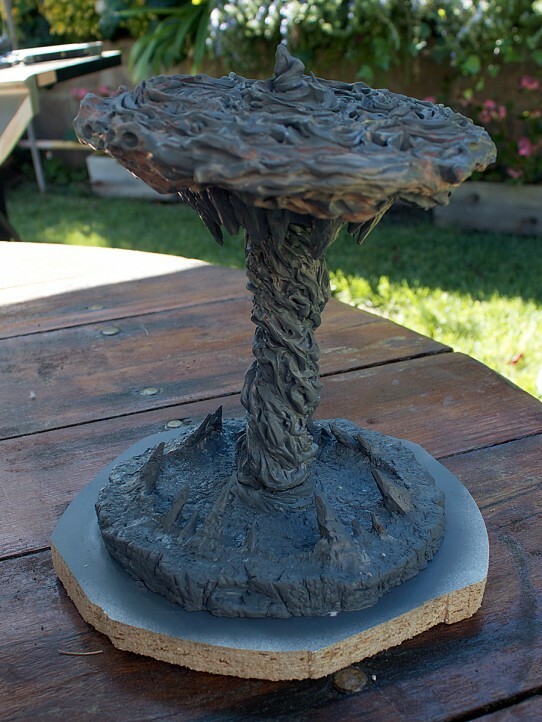 The Life Rift was too detailed to do in the time I had, especially if I wanted it painted well. 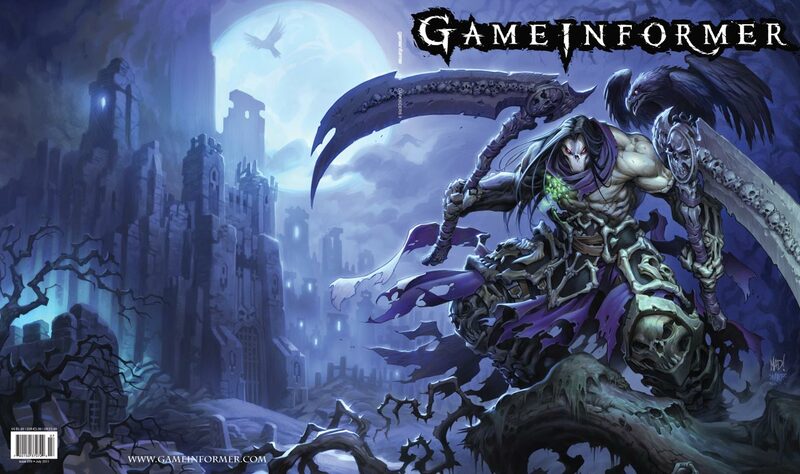 And the other rifts weren’t really released at the time. But the Fire Rift had promise in my eyes. 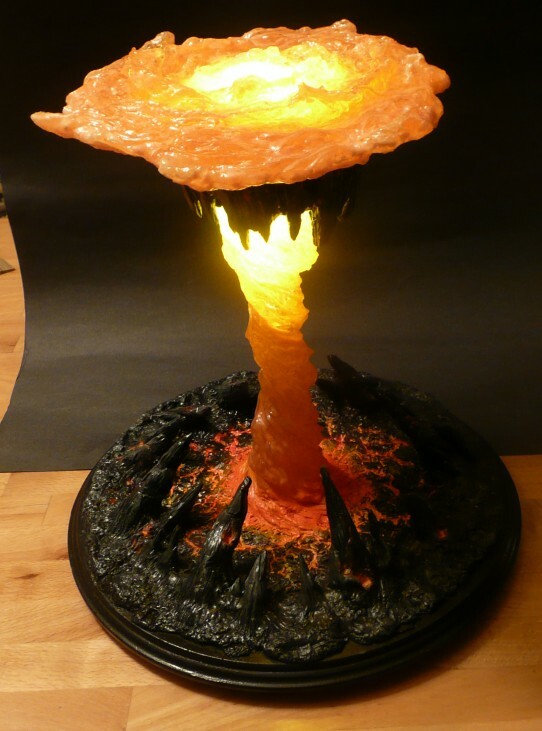 I proposed that the column of fire would support the sculpt just fine, and to make it really stellar, I would cast the pillar and vortex in clear resin, and light up the sculpture. So I began by finding a lazy-susan, and start building a support system. 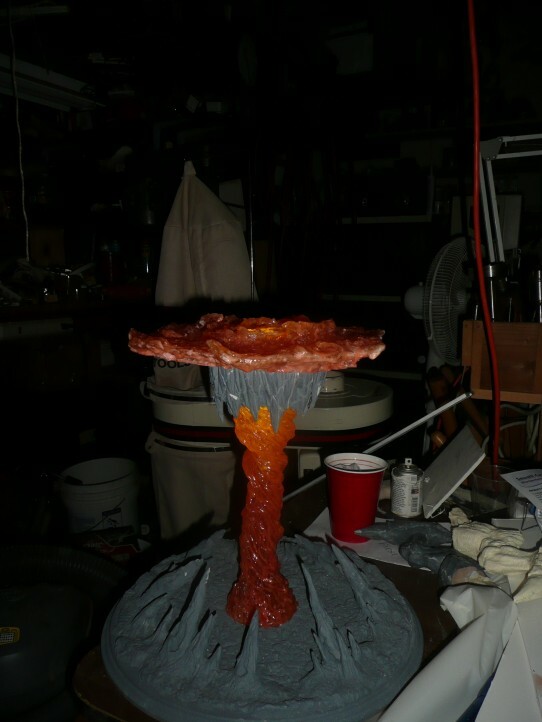 Using Magic Sculp for almost everything, I started laying down the lava and stalagmites. 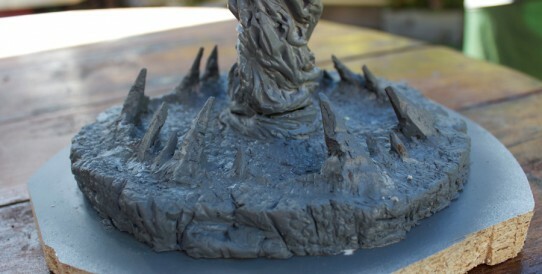 After the rocks were generally formed, I took a dremel to carve the lava and give the rocks more texture and sharp ends. 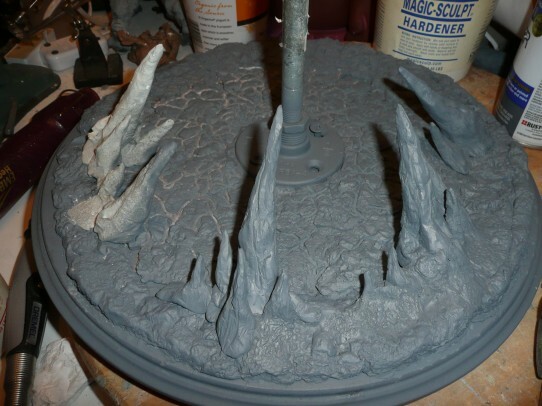 I don’t have any WIP shots detailing how I sculpted the pillars, stalactites and the atmosphere but you can sort of see from the unpainted pic above (and video) that I sculpted a column of sculpey around the metal pipe, making sure I got little swirls in there. Later, I would make a mold of the column, and cast it in clear resin. 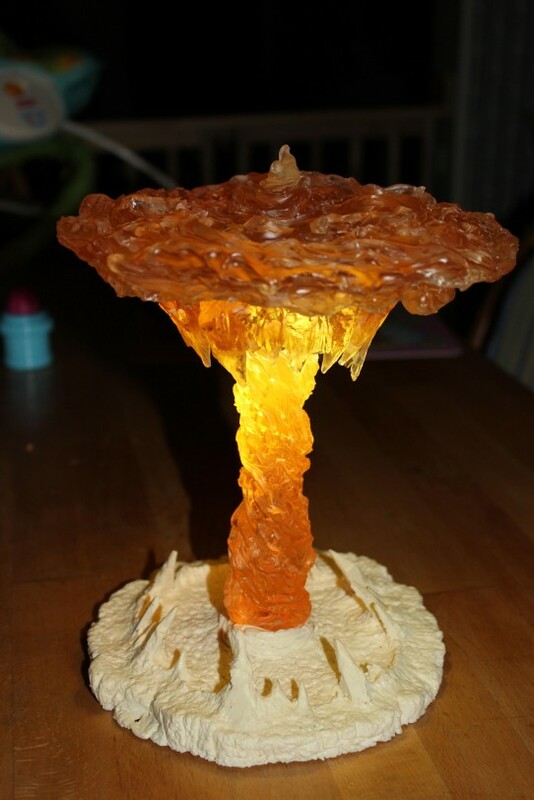 When the pillar was done, I started on the stalactites, which I glued to the pillar when I was done. The ring of stalactites were hollow inside, so I could insert the lighting kit. 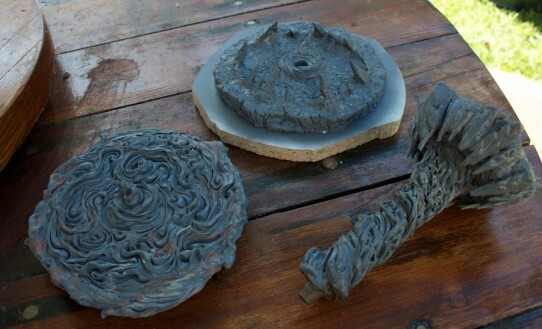 The top disc of swirling clouds actually was removable. 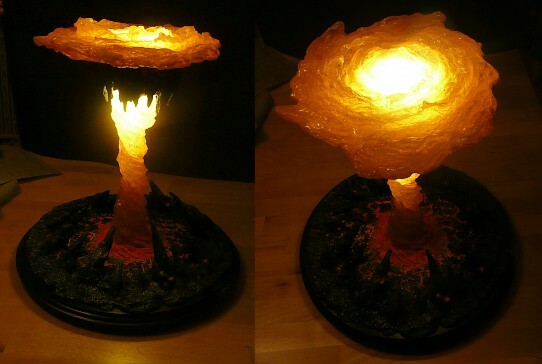 You could lift it off and get at the lights to turn them on. 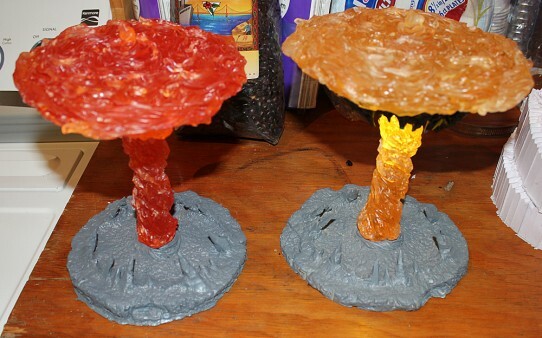 I actually used orange dye to dye the resin. The color gradient is from the light being on. Here are some pics of it painted and then with the lights turned on. 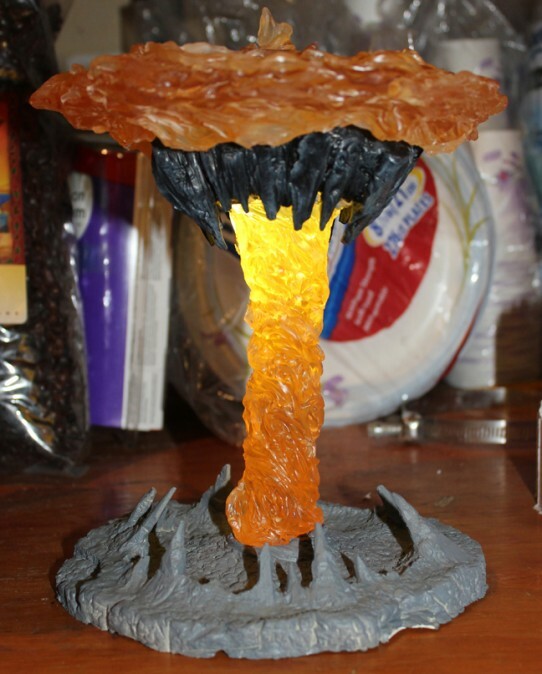 I both painted traditionally and used an airbrush to paint the lava. In my infinite wisdom, I did not take more professional shots or video, thinking to myself: I’ll get them when Trion publicizes this piece in the giveaway. I was crushed, more crushed than the sculpture. Still, the experience was amazing and I don’t regret a single minute of it. 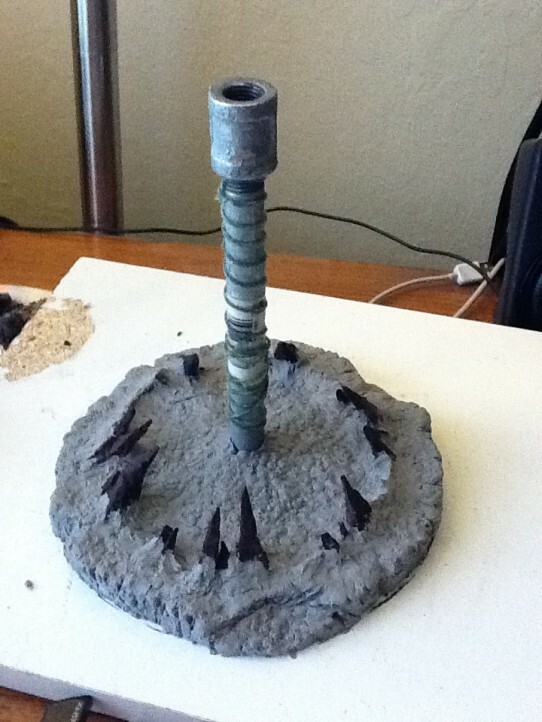 I have been sitting on this one for a bit, added some sand to the base, still haven’t decided what to do about the base. I’ll take some better pics soon, but here is a little taste of this bad boy. 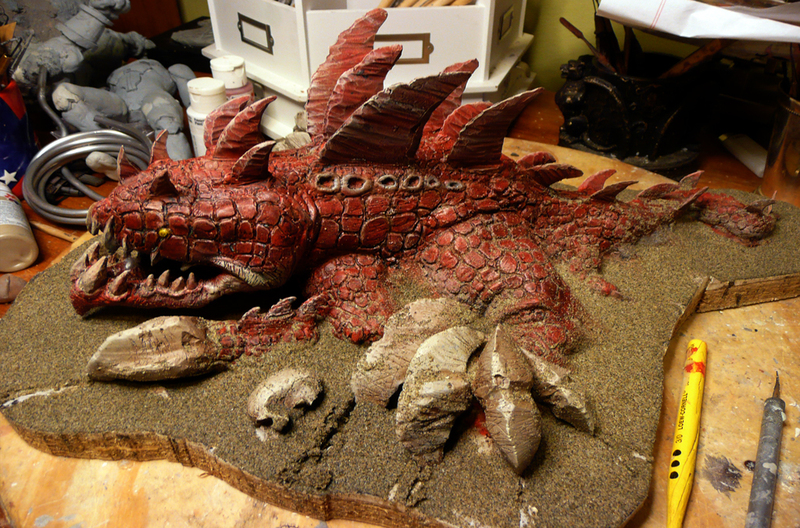 He’s about 16″ long, made from sculpey and MagicSculpt, and one-of-a-kind! EDIT: A quick note, I finally tracked down the illustrator of this piece, Mark Gibbons. Please check out his work over at Red Knuckle Studios! I’ve been in love with this illustration of a World of Warcraft Archer Troll for awhile now. It was created by a company I used to work in the same building as, and they did this piece for Upper Deck. Just a great piece, all around. I wish I knew how to take better pics with my homemade lightbox, but you get the hint. 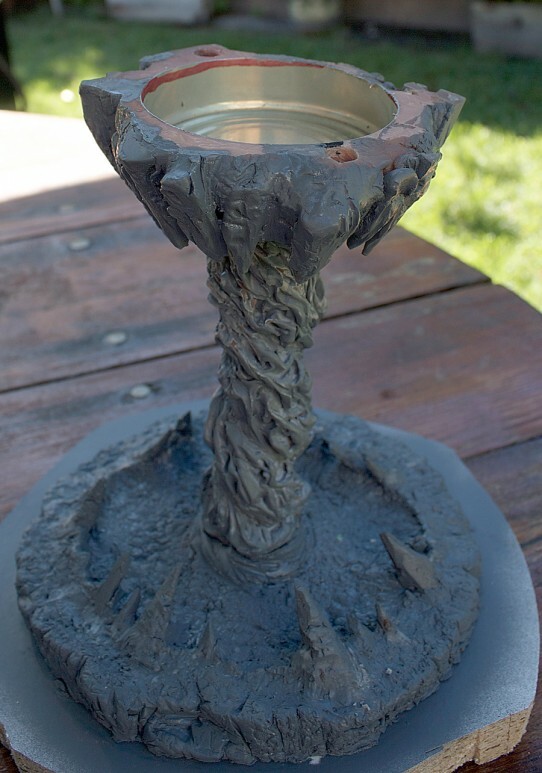 This piece is 11″ high, and I had to make it in 25 different pieces, which was a lot of resin and silicone, to say the least. I reached a milestone with this piece. When I went to paint it, I realized after priming and painting how unfinished the piece is, in terms of a polishing and sanding, etc. 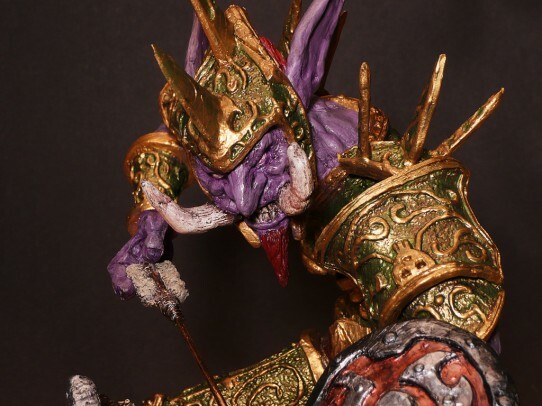 Paint can hide some sculpting shortcuts, but not all of them. 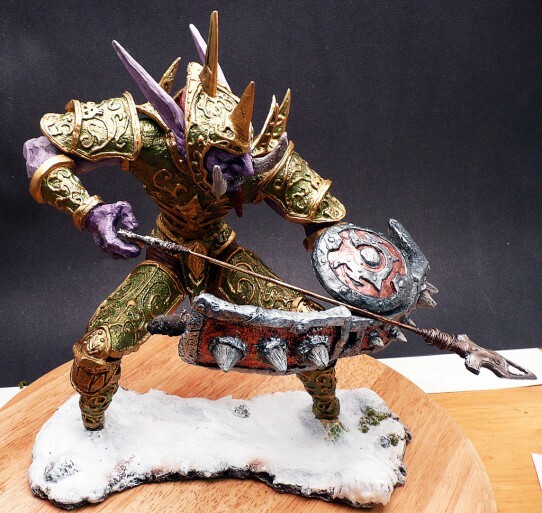 This was sculpted with Zen Wax from Gary Overman. 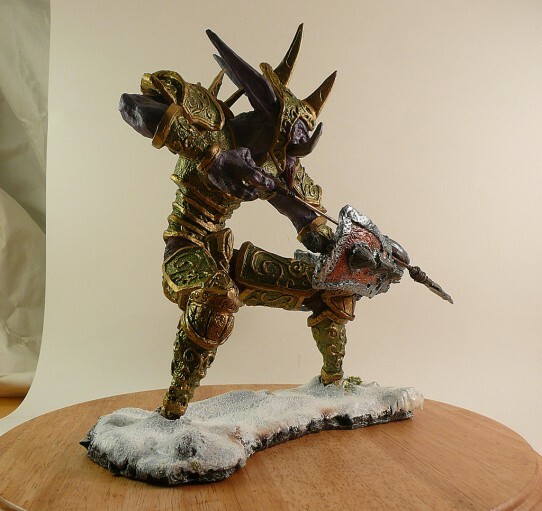 The piece below is the first test paint job I did. 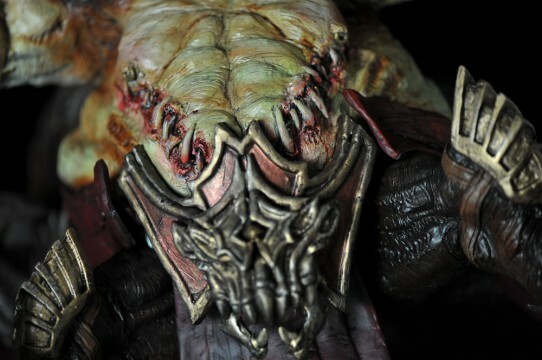 I used my iwata hp-c plus airbrush on most of him, but the armor was mostly hand-painted, due to the raised scrollwork. Speaking of the scrollwork, I created it by first scratching in the design I wanted, and then I literally dripped wax on it. 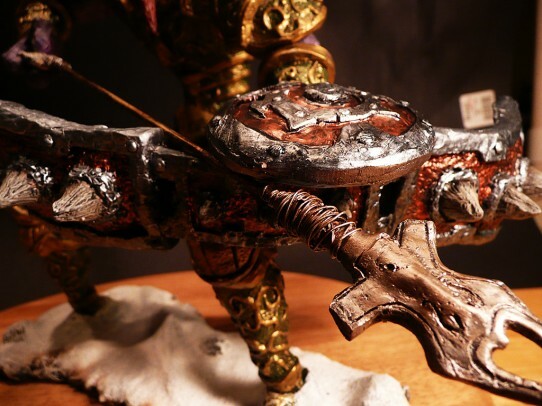 I then took a rounded wax tip and tapped it all over the armor to get that hammered metal look. My painting skills need some help, and paint can highlight toolmarks where you don’t want one, so I may just cast up another copy and really go to town on it with some sandpaper. Even though you can’t see it, his shoulder spikes, bicep armor and shield are all removable. I’ll take pics of it soon, as well as all the pieces it took to make this. The base I did in resin, then shook out some Woodlands Scenic Snow over the top, and even though you might not see in these pics, I made fake ice and icicles with Vallejo Water Effects (check out this site which compares some fake water products). I stuck some Woodland shrubbery in there too, before I shook the snow, to make it look a bit more realistic. I may still go back and and put some snow on the Troll, but haven’t decided yet. 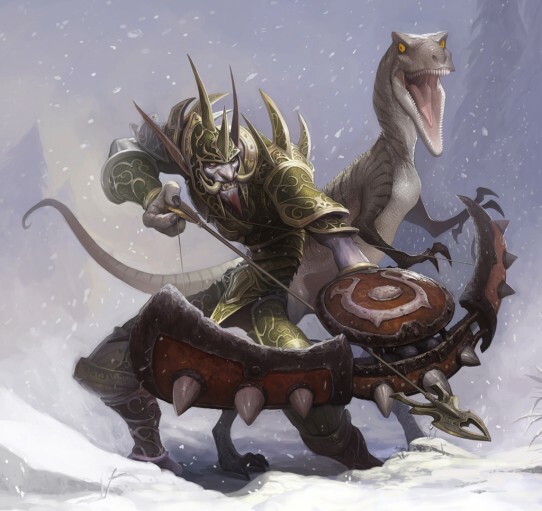 Oh, and the raptor pet behind him?? Working on it, but I need to finish up some other work first. Hope you like him, I had a blast working on him.